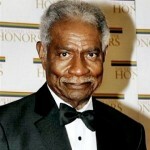 February 4, 2005 Raiford Chatman “Ossie” Davis, actor, director, playwright and social activist, died. Davis was born December 18, 1917 in Cogdell, Georgia. He began his acting career in 1939 with the Rose McClendon Players in Harlem. Davis made his film debut in “No Way Out” (1950) and over the next 55 years appeared in almost 50 movies, including Spike Lee’s “Do The Right Thing” (1989), “Jungle Fever” (1991), “Malcolm X” (1992), and “She Hate Me” (2004). His last role was in the Showtime drama series “The L Word.” Davis also directed five films, including “Cotton Comes to Harlem” (1970) and “Gordon’s War” (1973). Davis and his wife, Ruby Dee, were deeply involved in the Civil Rights Movement and were instrumental in organizing the 1963 March on Washington for Jobs and Freedom. Davis delivered the eulogy at the funeral of Malcolm X and a tribute to Dr. Martin Luther King at a memorial for him in New York. Davis and Dee were inducted into the NAACP Image Awards Hall of Fame in 1989 and in 2004 they were the recipients of the Kennedy Center Honors. Davis and Dee published their memoir, “With Ossie and Ruby: In This Life Together,” in 1998. 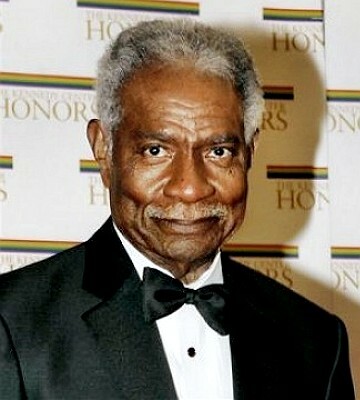 Davis’s name was enshrined in the Ring of Geology at the Charles H. Wright Museum of African American History in 2006 as part of the museum’s Ford Freedom Awards celebration.